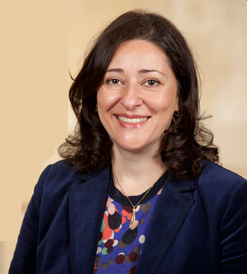 Anahid Gharakhanian is the long-time director of Southwestern Law School’s Externship Program. She also teaches in the legal writing program. From summer 2012 to summer 2016, she held the position of Vice Dean. Anahid is also committed to pro bono work and civic activities. She spearheaded the effort to establish the Southwestern Armenia Fellowship with the Ministry of Justice in Armenia. She serves on the Advisory Committee of the Armenia Legal Education Foundation through the ABA Rule of the Law Initiative Program. She also enjoys working on the Board of the Balance in Legal Education Section of the AALS. Upon graduation from Harvard Law School, Anahid joined the firm of Chadbourne & Parke LLP in Los Angeles where she spent six years handling the pre-trial phases of a variety of civil litigation matters and arbitration proceedings. Subsequently, she was appointed vice president of e-commerce development for an online retailer.